Stella Bruce, a former Aberdeenshire women's county team player and later county captain, died on Tuesday evening, only a week or so after her 85th birthday. "Despite her osteoporosis, Parkinsons and glaucoma, Stella was still hitting the occasional golf ball last summer. "We took Mum and Dad to Norway in September for a holiday. It was really successful. 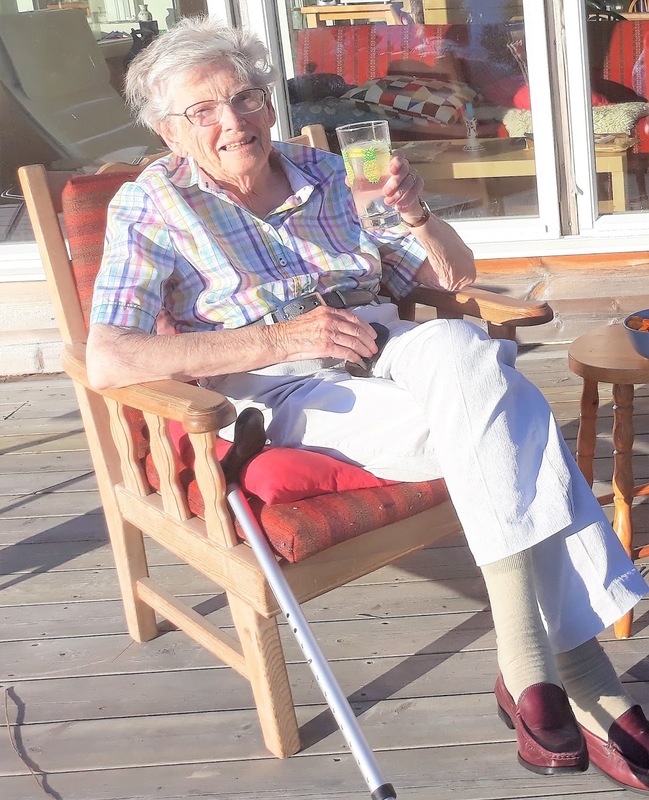 "Shortly after returning to Ballater, Mum fell and broke eight ribs in early October. She fought hard to recover but didn’t make it. "Her funeral service will be next Friday (December 21) at Crathie Church (11.30am). "Her favourite five-iron and a box of Dunlop 65s are going in the coffin. "The picture is from a few weeks ago, happier times drinking gin on our deck in Norway." Stella Paterson, as she was before her marriage to David Bruce, hailed from Peterhead. They did very well in mixed foursomes competitions. She held the Aboyne women's course record of 71 and played for the East versus West Select at Ranfurly Castle in February 1964. Stella had a handicap as low as one in the late 1950s-early 1960s and won the Aberdeenshire women's county championship in 1959, 1961 and 1962. When she reached the veteran stage of her playing career, she played for the Scotland Vets and later captained the team. "She had happy days at Balgowmie. Like a second home and her genuine love of both the course and the members," said son Colin.